Buy green walnut peeling machine 0086-13298176400 - Shandong Leader Machinery Co.,ltd. low broken rate, good cleaning effect, greatly reduce labor intensity, save work time, improve the quality of walnut and forage-livestock system. This machine is mainly composed of frame, hob, the whole single adjustable grille, spiral arrangement of wire brush, reducer, motor, single pipe sprinkler, security guard, etc. Parts. 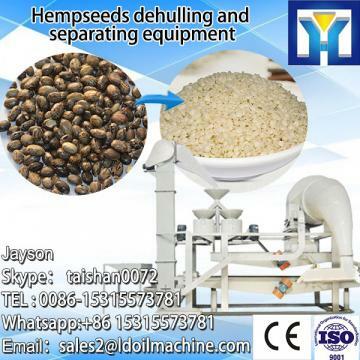 out from the separator and cut off the kernel, thus achieve the goal of separating the peel and kernel. For the whole green walnut peeling machine 0086-13298176400,warranty is 12 months,within 12 months,if have equipment quality problems,we will provide accessories freely. After the expiration of the warranty period,if have spare parts problem,we only receive the cost of required replacement parts.We commit we will provide free technical support of equipment all whole life. Our company has engaged in producing and exporting green walnut peeling machine 0086-13298176400 for many years, and until now, our machine has exported to overseas market, such as Brazil, India, Indonesia, Russia, Thailand and so on, and get the foreign customers' unanimous praise. We believe that you purchase Shandong Leader Machinery Co.,ltd. green walnut peeling machine 0086-13298176400 is your best and sensible choice.